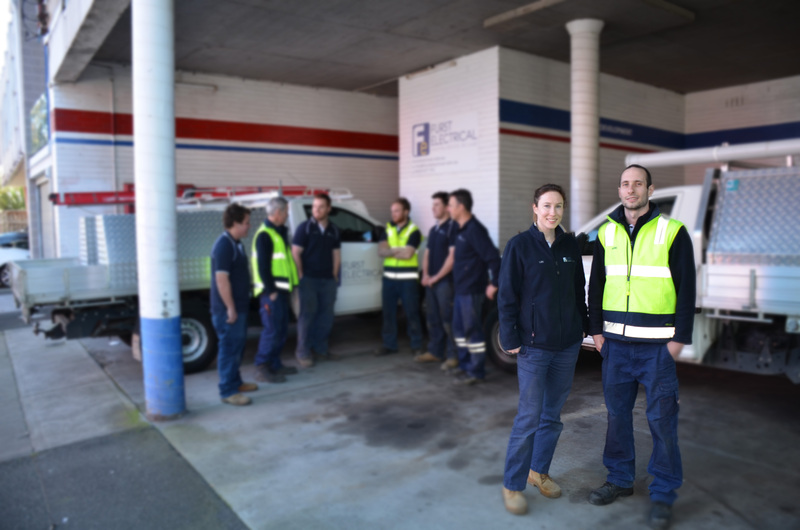 Industrial electrical contractors Furst Electrical Services have announced that they have been awarded a $1.6 million contract by multinational group Accensi to design and install the electrical control system in their new manufacturing facility in Lara, Geelong. This complex project involves the fabrication of 11 multi-door control cabinets and the installation of 38,000 metres of cable, 90 electric motors and 300 instruments. “In design alone, there’s a month of work involved, and the system requires and intimate understanding of hazardous standards, machine standards, AS3000 standards, as well as process automation experience,” explains co-owner Mark Furst. The company had a very successful 2014. Before winning the Accensi project, Furst Electrical Services won the contract to automate “Catch of the Day’s” distribution and warehousing system in Melbourne. “The first of its kind in Australia, the system delivered a highly sophisticated automated picking and packing operation, using robots to ‘pick & pack’ customer orders. It entailed the fabrication and installation of 64 control cabinets, 445 ethercat nodes and 80 e-stops,” the company revealed in a media release. The specialist electrical contractor has partnered up with numerous manufacturers from Melbourne and wider Victoria to deliver automation solutions – especially for the food and beverage, pharmaceutical and packaging industries. Dave Edney from Mountain Goat Brewery is just one of the many satisfied clients. “Furst designed and installed a new tank farm temperature and pressure control system for us; the new PLC controller gave us perfect control and reliability for our fermentations, tank chilling and pressure monitoring. The system was installed with minimum fuss and downtime to our production schedule and remained well within budget,” says Mr Edney. Accensi manufactures crop protection products for domestic and international agriculture operators; the facility at Lara further consolidates Accensi’s national operations with their existing facilities in Western Australia and Queensland.